In Wisconsin, police have stepped up patrols near the Elmbrook Humane Society, after it began receiving threats for euthanizing a dog. The dog was a large, handsome fellow named Jim. Expressive eyes, gentle and well-behaved behind the camera, but he began exhibiting signs of aggression after being adopted out. 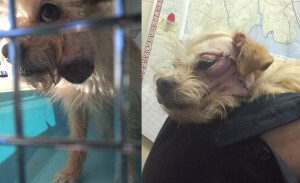 He had several biting incidents, was declared a “vicious dog,” returned to the shelter and adopted out again, and eventually hurt somebody to the point stitches were required. Now, should Jim have been adopted out in the first place? Or the second? Possibly not the first time, probably not the second, but that is a whole ‘nother blog, and we don’t have enough details for anything other than a general statement on that. But what we can say for sure is that in the end, the shelter was forced to make a hard, but responsible choice with Jim… for which they received threats. What is wrong with this picture? Nobody (with the possible exception of PeTA) wants to euthanize animals. The Elmbrook Humane Society prides itself on its live release rate, and really went to the mat for Jim. When you have done your best for a dog that has bitten on multiple occasions — finally to the point where medical attention is required — you have to put the interest of future adopters, of the public first. As heartbreaking as it can be for an otherwise healthy dog to be put down, there are many, many other animals who can be safely and responsibly adopted out, who would just love a new forever home. Yet instead of accepting that sometimes painful decisions need to be made, instead of inquiring about those other non-bitey animals, there are now people threatening to burn the shelter down. Whether or not the threats are credible, whether or not the shelter is actually in any danger, this is just nuts, folks. An outbreak of canine influenza* in the Chicago area has killed six dogs and sickened 1,300. It comes from a strain of the virus that has previously only been seen in Korea and China. We do not yet know the specific source or the scenario that led to this outbreak, but regardless, it is a painful reminder of the importance of responsible animal transport (especially in regards to importation), and why we support it so strongly at NAIA. 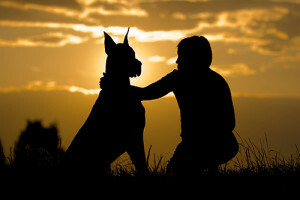 Of course there are no guarantees in life, no way to ensure that your pet will never come down with an illness, but employing responsibility and accountability when transporting animals — something that is, unfortunately, not always standard operating procedure — is a great way to improve those odds for everybody’s pets. Our hearts go out to the families who lost pets due to this illness, and we wish a speedy recovery to all who were affected! *while this is referred to as “Asian Dog Flu” it can affect cats too! So did you read the news that an expert in equine medicine tested New York’s carriage horses, and discovered their stress levels are probably lower than yours or mine? That work doesn’t raise the stress or angst of these magnificent animals — that they are living pretty darn contented lives? If not, hopefully you have now! But for everybody else, studies like this are meaningful. 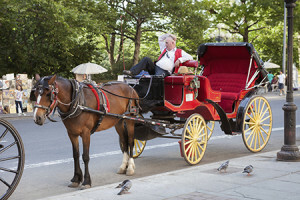 Horses and humans have been partners for thousands of years, and most people can look at a carriage horse and just know on a general level that the animal is content. But without data to back up our perceptions, it can be written off as just that: a perception — a feeling. Well, here comes the back up! The carriage driver appears to have remarkably low stress levels as well. Bipartisan Agreement in Maine: Go Away, HSUS! 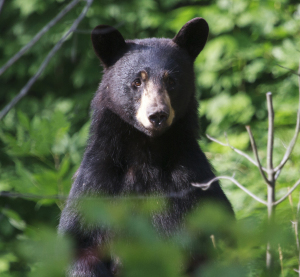 In Maine, even Democrats and Republicans can agree: “wildlife management laws should be determined by scientists and protected from emotional campaigns bankrolled by out-of-state interest groups” (read: HSUS). Yes yes, we know: allowing scientists to determine wildlife management is crazy. Wouldn’t want pesky things like facts, expertise, and personal experience shaping our policies, now would we? Just kidding. At NAIA, we want wildlife management policies shaped by experts rather than anti-hunting activists. We’re totally cool with that. It’s the anti-hunting activists who want this debate settled entirely through emotion and advertising dollars (remember when their coalition threw a hissy fit last November, and tried to prevent the Maine Department of Inland Fisheries and Wildlife from stating their opinion on the [failed] anti-hunting referendum?). It is great to see sanity alive and well in Maine. We will be keeping a close on this story as it develops. Are You Helping or Enabling? Know Who You are Supporting! Faulseit and another woman were charged with animal cruelty. Officials found more than 60 cats, dogs, raccoons and an opossum living in their own filth, without food and water, at Faulseit’s St. Petersburg home. She adopted many from the Hillsborough County shelter and was selling others at a local pet store, possibly for profit, but police say it’s hard to prove. As we pointed out on Friday, social media can be a great tool for shelters and rescues to find homes and help animals. But there is always a flip side to consider: it is also a tool that enables people who are overwhelmed (and often unable to stop themselves) or unethical to grow and continue their operations. It is awesome that you can take two minutes and make a few clicks from California to help an organization in Florida — we love that! But getting to know who you are working with through their history, references, or (best of all) visiting them yourself is a must if you want assurance your donations are making a positive difference for animals. Now, through cooperation between Animal Control, Goodfriends, and generous animal lovers, a little lost dog now has a shot at a great life! The people who love animals, the ones who make a difference quietly doing the right thing day after day really don’t get enough credit — but we love outcomes like this, and are more than happy to point out their good work! In Florida on Monday, a “Fake service dog bill” advanced in the senate. The bill would make interfering with the disabled and their service animals a second-degree misdemeanor, carrying penalties of up to 60 days in jail, up to $500 in fines and 30 hours of community service for an organization that serves people with disabilities or another entity, at the discretion of a judge. 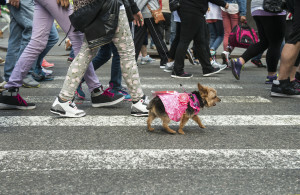 Under the bill, the same crime and penalties would apply to pet owners who lie about having a disability and falsely claim that their pet is a service animal. While NAIA has not taken an official position on the bill, we do laud its goals. 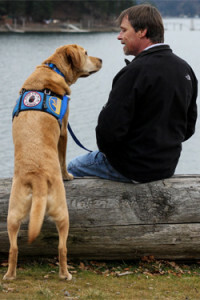 With more service animals assisting people with invisible disabilities than ever before, and a growing number of pet owners who feel entitled to bring their companions anywhere and everywhere (and with easy access to vests, harnesses, and other paraphernalia that make their pets look like service animals), it is easy to see why there have been so many recent collisions at this intersection. But even if it is easy to understand, there is no good reason to harangue somebody with a service animal… just as there is no excuse for falsely declaring your pet a service animal. While people with fake service dogs aren’t acting out of malice, and may not think they are doing anything wrong, their actions hurt the very people who most need the calm, reliable assistance these amazing animals provide. In more than 100 cases last year, the Albuquerque Animal Welfare Department has allowed [aggressive] dogs to be adopted by families or returned to their owners even though they flunked nationally recognized standardized tests that showed the animals had dangerous tendencies. Go ahead and read the entire article then come back. It’s important. We’ll still be here. 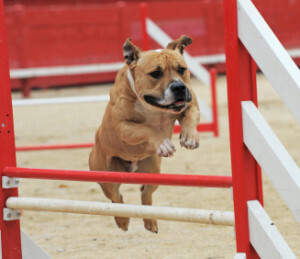 We have written about mission creep in dog rescue and sheltering before, and its unintended consequences (disease, dog bites, how it actually enables irresponsible breeding practices, etc. ), and this is as prime an example as any. So just how on earth is the public going to trust an Animal Welfare/Animal Services/Animal Control department if it has a record of adopting out vicious dogs that lunge after children or kill other pets? 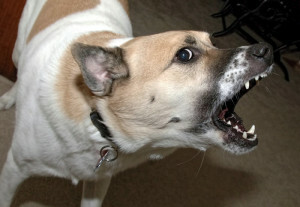 Dogs that were too aggressive to even take behavioral tests? Who, exactly, are they looking out for by allowing these dogs to be adopted? Certainly not the people whose communities they are being trusted with! But they are also doing an incredible disservice to dogs and the rescue community, as well. Shelters and rescues have done a great job over the last few decades of marketing themselves as the place to get your next pet. Numbers from one of our recent surveys show that respondents believe the healthiest, best-tempered dogs come from rescues or shelters, and list them as first choice among people expecting to acquire dogs in the next 5 years. Do you think these people would be so quick to choose rescues and shelters as their top choice if the first thought that pops into their mind isn’t “saving the life of a great dog” but rather “will the dog we find be safe for the family?” Is it so hard to see how adopting out just a few aggressive dogs in order to “save them all,” or improve euthanasia numbers can hurt the prospects of all dogs in need of a home? Anybody who adopts out an aggressive dog is abdicating their responsibility to public safety and undermining literally decades of hard work improving the image of and outcomes for shelter dogs.